Once upon a time we were asked to record a few songs for a program called “North of the Border” on WEXT in Albany. What we came up with was an unplugged version of “I’m Gonna Make Her Mine”, and an impromptu rendering of Charlie Walker’s “Who Will Buy the Wine”. We recorded the two tracks at Feathered Serpent Sound in NDG, where we had previously recorded most of “I Stand in the Weeds”. With David strumming the acoustic guitar and Andre blowing the harmonica, we invited our good friend Dave Dixon to slap the rhythm on the upright bass, while Kevin made the steel guitar cry, and R.D. Harris kept the back beat. Special thanks to Jacques Deveau and Louis Panneton for knowing which buttons to push, and to Patricia Davidson for making this session possible. Anyways, we’d now like to share the songs with you. So here they are. Enjoy! 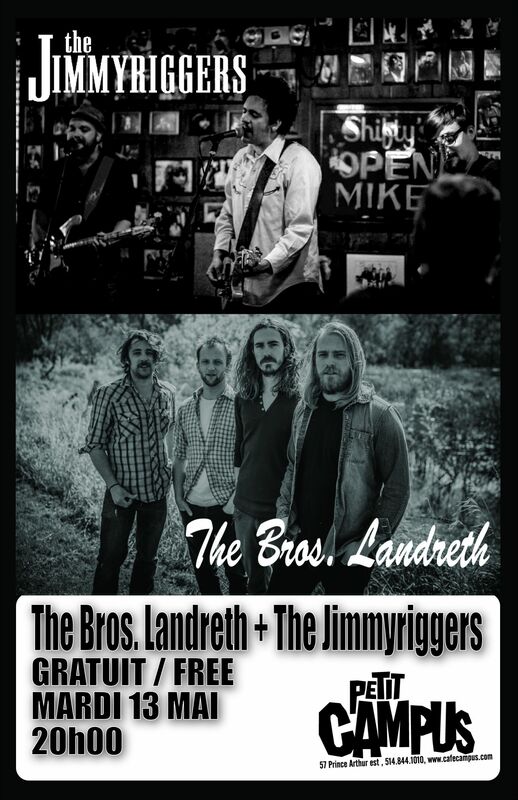 Tuesday night, May 13, at Petit Campus, we open the night for Winnipeg’s The Bros. Landreth. Well, I’m sold. Also, it’s free admission. Click the poster to RSVP. Friday night, May 16, at Brutopia, we play three sets of originals and our favourite covers. 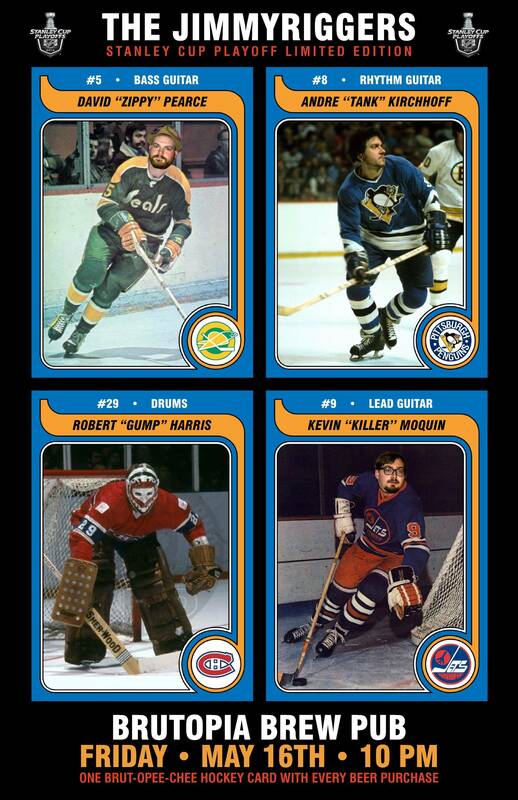 We’re happy to have the Gumper back in nets for these shows. And kudos to Andre who outdid himself once again on the show poster! Click it to RSVP. This show is also free admission.